I'm surprised I've never noticed how a bar code is like a frank mark. Finn Badger has a great little repetition of form going on here, both in terms of colour and line. 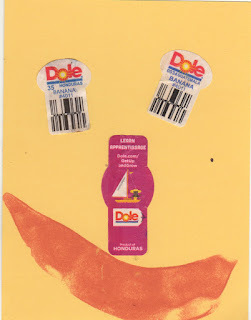 One of the things about mail art that I love is the way that you start to see things differently when you think mail art. Every year that banana day rolls around again I lament the fact that I haven't saved banana detritus to use in my mail art. I wonder if Finn went on a banana eating binge or was super organised! 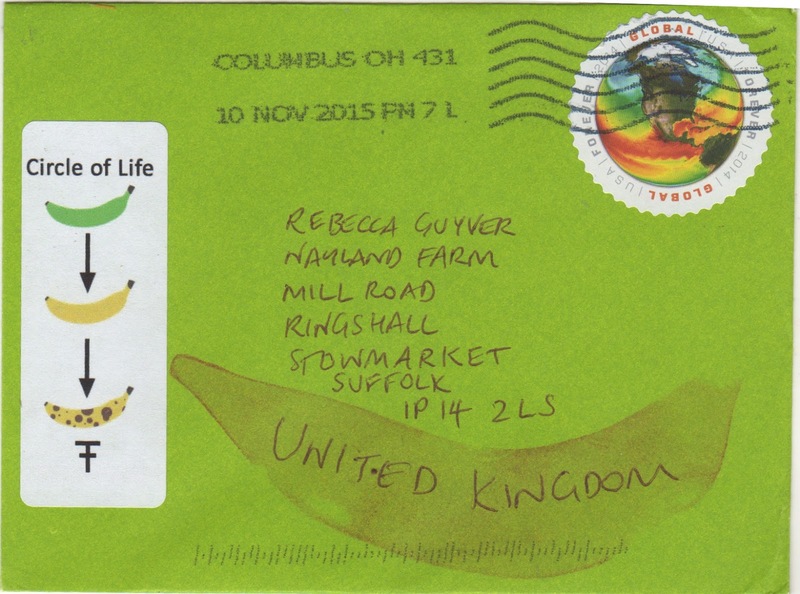 Many thanks and hopefully your banana mail will arrive/be sent soon! I've been saving them up ever since I noticed the longer labels that started to appear on bunches of bananas this summer. Glad you liked it! 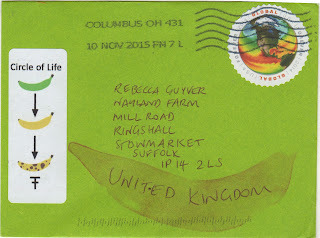 It took me a minute to note the smiley face--an inventive use of the labels, Finn. Liked the circle of life, too. Thanks for posting, Rebecca--it put a smile on my face!